The battery on the car is now dead this is I due to it being stood. 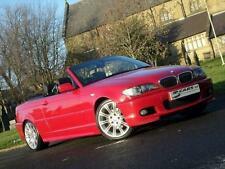 For sale is my wife's BMW 1series convertible. MOT 26 March 2020. 10 months MOT. ITS HPI CLEAR. Maintained by us 12 Months MOT. Mike Hope of Wooler presents to you this good Condition. Don't forget to look at. HERE I HAVE MY WIFE’S BMW 118D FOR SALE! 118D SPORTS EXECUTIVE. NEW DUAL MASS CLUTCH SYSTEM FITTED MONTHS AGO. 6 SPEED MANUAL. THE CAR RUNS SUPERB AS ITS BEEN WELL LOOKED AFTER WITH NO EXPENSE SPARED! 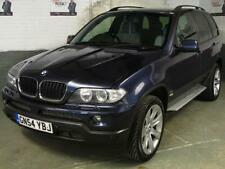 New listing2009 09 REG BMW 118d M SPORT DIESEL AUTO BLUE FSH NO RESERVE AUCTION! Car is in absolute perfect condition. MOT recently, part service history and runs perfectly fine. BMW 1 Series for sale! This is a great example with M Sport trim. Fantastic to drive and cheap to run. Great MPG for a 2L. THE CAR IS IN VERY GOOD ALL ROUND CONDTION FOR ITS YEAR WITH 3 PREVIOUS OWNERS. READY TO DRIVE AWAY. FULL BLACK LEATHER INTERIOR. JUST HAD CHAIN REPLACED ALONG WITH A FULL SERVICE. CENTRAL LOCKING. (2008 BMW 118D SE. Lovely car, has just been serviced for new owner, no knocks, bangs or rattles. Also very cheap to insure :). £100 deposit secures vehicle for 48 hours. £2,295 OVNO. Just serviced. Lady Owner. BMW 118D SPORT. MOT MARCH 2020. MANUAL 2.0 DIESEL 6 SPEED. 2009 - 09 REG. 132,000 MILES (Mileage is fully warrantied and DVLA verified). 6 MONTHS WARRANTY AND BREAKDOWN COVER AVAILABLE. GREAT SPECIFICATION INCLUDING. BMW 118d Sport - only 94k with MOT until April 2020. Located in Hull, East Yorkshire. The bodywork is outstanding, not a dent, ding or scatch anywhere and three of the four alloys are immaculate with the f ront near-side alloy having a small scuff on the outer edge. BMW 118d Se 143bhp LOW ROAD TAX £30 1 YEAR!!!! Tallington Cars - Our vehicles all have an Experian Data - Call us on 441780437599 or click here to find out more. 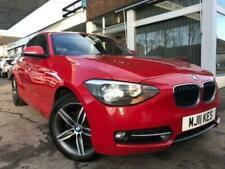 BMW 118 D SE 2.0 5DR 09/09 This car is in excellent condition throughout looks an drives well. The car car a full service history with both sets of keys. Extras include phone prep , alloy wheels , and six speed gearbox. CREDIT CARDS AND PART EXCHANGE WELCOME FINANCE AVAILABLE CONTACT US ON 01228 536011 OR 07802 242777. BMW 1 Series 2.0 118d Sport 3dr. ONE OWNER + FULL SERVICE HISTORY! £30 Road Tax! STUNNING CAR IN AMAZING CONDITION THROUGHOUT! BEEN VERY WELL LOOKED AFTER! ONLY HAD ONE LOCAL OWNER FROM NEW! FULL SERVICE HISTORY - 20/09/10 18,458 BMW, 12/09/11 32,921 BMW, 26/01/12 37620 BMW, 12/03/12 39328 BMW, 13/08/13 60550 GARAGE, 24/03/15 79,884 BMW, 01/03/17 101,721 BMW, 29/09/18 121,852 GARAGE. Only 82,000 miles, full service history (just been serviced less that 100 miles ago). Full MOT (no advisories) until Jan 2020. Just had all brake pads replaced. 4 good tyres, Alloy Wheels, AUX port, well looked after- interior and exterior in fantastic condition. 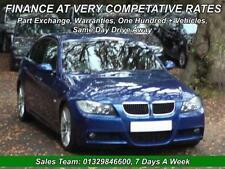 Bmw 118d Sport Coupe, 1 Series, 2011, Only 66000 Miles. Hi, for sale is my 2009 BMW 118d, 5 door in grey. It's very well maintained and clean inside and outside. Everything works as it should includes engine, gearbox, clutch etc. The books and second key been misplaced by the previous owner and I've never had a chance to get them. BMW 1 Series 118D M Sport. MOT till 17/04/2020. BMW manuals and wallet. Service History. Has Aux and Bluetooth so you can use your phone. Here we have for sale a 2010 BMW 118d msport. Engine size - 2000cc Mileage - 146,223 miles Gearbox - Manual Previous owners - 1 MOT - Nov 2019 (No advisories) Part service history. 4 new tyres. Re-mapped by SA tuning in harlow with a DPF delete. Kiteley Motors - Visit us for a test drive - Call us on 441279212471 or click here to find out more. A13 Motors (31) - Call us on 442037576489 or click here to find out more.